In this article, we conceptualize the implementation process associated with SAP_HR as an experiential learning one (Kolb, 1984), and analyze qualitative data collected using discourse analysis during a sixmonth case study. We saw that a lack of communication plus misunderstandings between the different parties involved in the project led to mistakes in working with the system. However, with encouragement from the “top” to improve learning, working with the system became easier for the whole group involved and for the individual users. 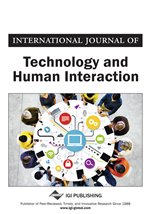 Although Kolb’s theory is widely acknowledged by academics as a fundamental concept that contributes towards our understanding of human behavior, we propose another use: to consider this theory in association with an IT implementation strategy to identify the mechanism of IT adoption in an organization.